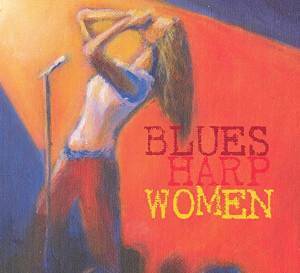 I just received a super release of women harp players, Blues Harp Women, and it shows talent across opening with Harmonica Girl, Paula Rangell leads a lively shuffle track with crisp harp playing and her band the Pontiacs. Roxy Perry is up next with Roadmaster. Backed by a cool horn section and cool harmonies this track has real punch. Stacy Jones Band grinds down with Heavy Water, a swampy lumbering track. With strong vocals and warm guitar tones, Jones plays a real nice complimentary harp part over the track. Very nice. Big Mama Thornton blows a real nice Down Home Shakedown reinforcing that she was as much a harper as a singer. Lynnann Hyde plays harp and sings, accompanied by acoustic guitar on 30-20 Blues in vert traditional style. Down To The Hollow by Trina Hamlin is really interesting with nice breathing techniques and rich vocals. Tracy K performs Stop! Wait A Minute with a rocky attack on the blues. Her harp techniques are slick and driving. Very cool! 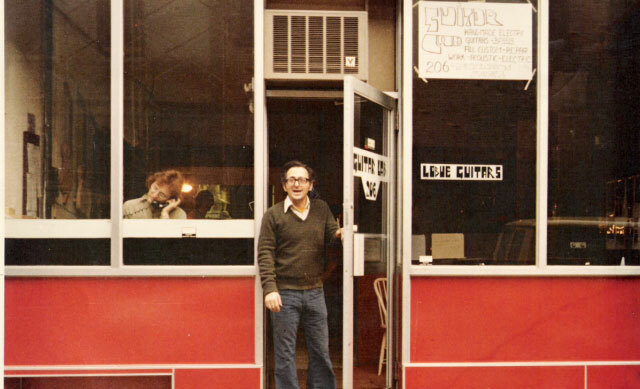 Slow ballad, One More Lie, features Teresa "T-Bird" Lynne on vocal and guitar. Lynne plays a real nice solo on harp and her guitar player digs deep as well. Very nice! Octavia has a 70's rock style with guitar, harp and sax all playing hot riffs along with her Grace Slick style vocals. Kat Baloun takes the R&B route with organ driving the pace. With a bit of funk slick guitar solos and harp work carries the track high. Beth Kohnen plays Ain't Easy keeping the blues soft and easy on harp with bass and guitar accompaniment. Fresh! Jane Gillman does a nice vocal duet with acoustic slide guitar and spoons as rhythm. Zola Moon stomps with authority singing Mechanical Beast. With solid guitar work and searing harp tones the band blazes it's path. Mattie Phifer lays down a real nice blues rhythm on Please Call Daddy and sassy vocals. I really like her blues style on this track giving the track an authentic blues rock feel. Wrapping disc one is Dorothy Jane "DJ" Gosper with a slow San Francisco style blues number, Sadder Than Sad. DJ puts everything into it with strong support by organ, blows an incredibly soulful harp to close. Jenny Kerr opens disc 2 with Cash Is King, a heavy footed rocker and flanging guitar riffs. Kerr's confident vocal style, a rock solid bottom and aggressive guitar styling makes this one of my favorites on the release. Cheryl Arena steps up with Blues Got Me along the lines of King's Hunter. With deft guitar soloing, solid vocals and raw harp riffs this track has a cool blues feel. Annie Raines leads off Lookin' Good with John Mayall like harp work and light guitar rhythm. This track builds steam as it goes and is a very nice instrumental addition to the set. On boogie track, He's Gone, Marion Turner grinds in with harp and vocal. This is a really basic blues track and with few frills hits the nail on the head. Very nice! Terry Leonino's Meet Me Where They Play The Blues is a light and breezy jazz number with warm chords and floating vocals. Nice and easy. 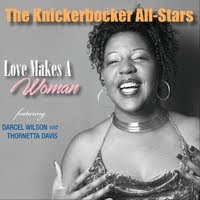 Boogie, Crazy Maisie, by Dana Dixon, really grinds in with solid harp work and a driving bottom. Her vocals are real and the harp/guitar interplay creates excitement. Beata Kossowska lays down an interesting track, Everybody's Dancing with a Latin rhythm. With almost Spanish style guitar work and soulful harp soloing, this track is an interesting look at another side of the blues. Jill Fromewick really makes the harp sing on Take The Lead and her vocals are pure and rich. Very nice track. Diana Redlin gets things hopping with a high energy, Never Leave Me Home. With snappy drum work and a guitar mantra, solid sax work and fever pitched harp work this track hits the read running. Classically trained, Christelle Berthon turns in the most beautiful harp rendition of Summertime accompanied by piano. This track is excellent! Judy Rudin does her blues with a country 2 step feel blended with Chicago harp styling on Hit The Road. With steel guitars and country rhythm, Rudin knows how to play the blues. Cecilia Loforti's, Doctor C, has a bit of funk and her vocal styling borders on Blondie's on Rapture. A playful little number, Loforti knows her way around the harp. Maria Coyote's Rikers Island, follows a standard blues format but with a loose worldly San Francisco twist. Interesting. Jackie Merritt takes an easy pace with acoustic backing. Her harp work is nicely complimentary to her vocals on Fast Food Mama. Big Nancy brings the whole package with a great voice and soulful harp work on Bring It On Home (To Me). A casual pace and clever guitar work, this is a real nice track. Wrapping the release is Rhonda Alla Blue, by Rhonda Rucker. 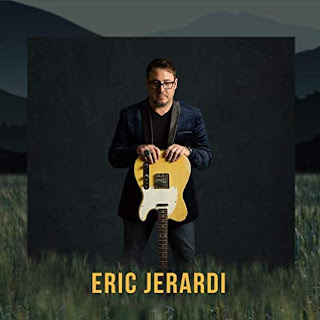 A traditional blues number with traditional blues style riffs backed by acoustic guitar, this is a terrific closer for this diversely bluesy release.